specialist for Singapore. Contact me if you need a Stand in Singapore. ArchXpo is the one stop networking hub for exhibitors and buyers to conduct business dealings. 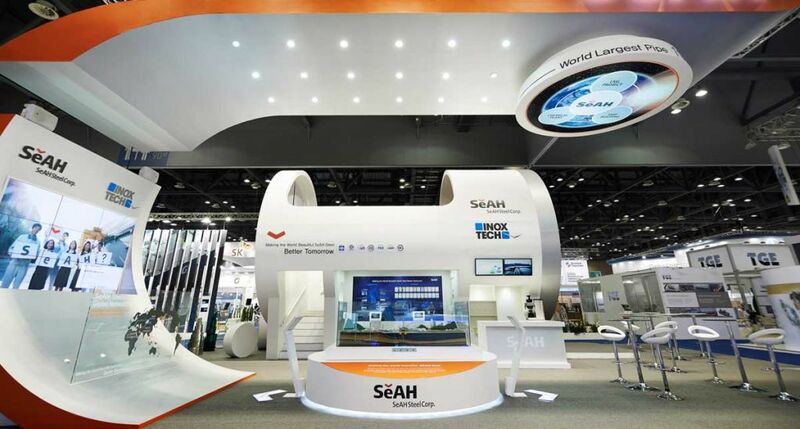 In fact, it is the key showcase of relevant technologies, products and related services in the architectural and built environment industries. It is also a key gathering of industry experts and talents that makes for excellent architectural and built environment design - summing up, it is a mandatory event within the industry! If you want to exhibit in this fair and need a booth contractor, let us know! 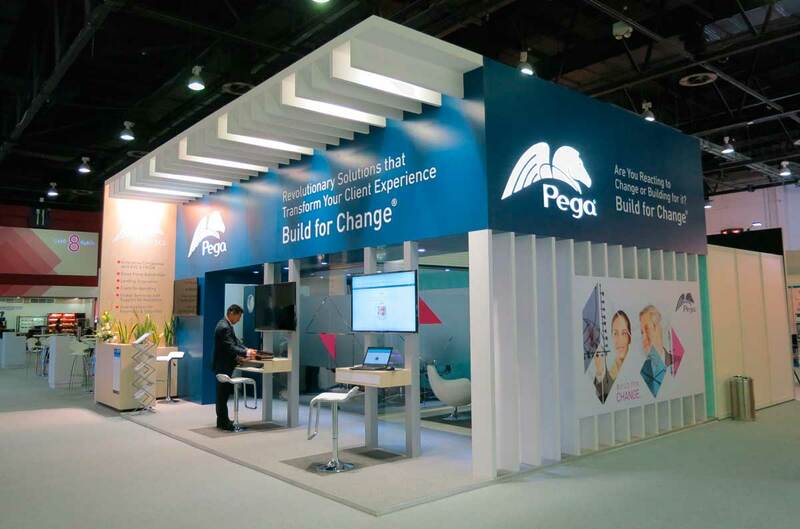 We'll introduce you to the best Stand Builders & Designers Singapore. ArchXpo exhibitor list includes: Dream Ponds, Ecosand Systems, Expotim International, Asia Paint, Arc Floor, Nature Living Design, Parexgroup, Harvest Link International, Pacific Florest Product, Lex Global, Venus Pool, Roxwell, Old Wood, Planon Asia, Nature Living, Lavano Marketing, USL Asia Pacific, Visonic, Sherwin-Williams and Netzach Wood Veneers. As you can see, this is a great opportunity for you to forge valuable partnerships and get inspired! 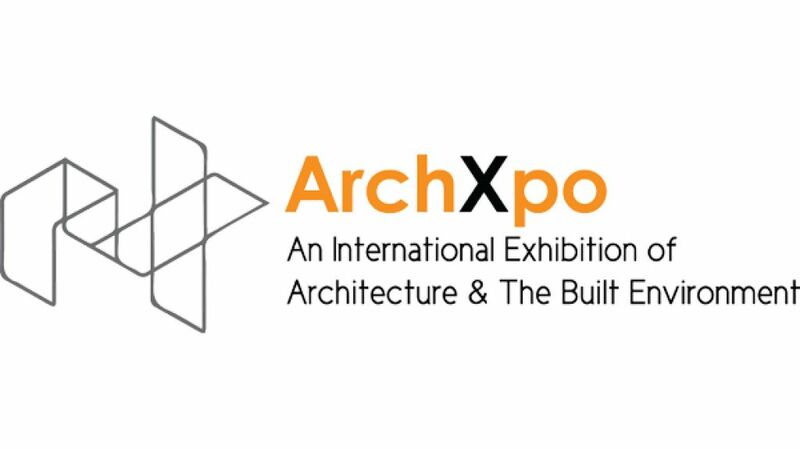 ArchXpo truly is an unmissable event for every company in the sector! 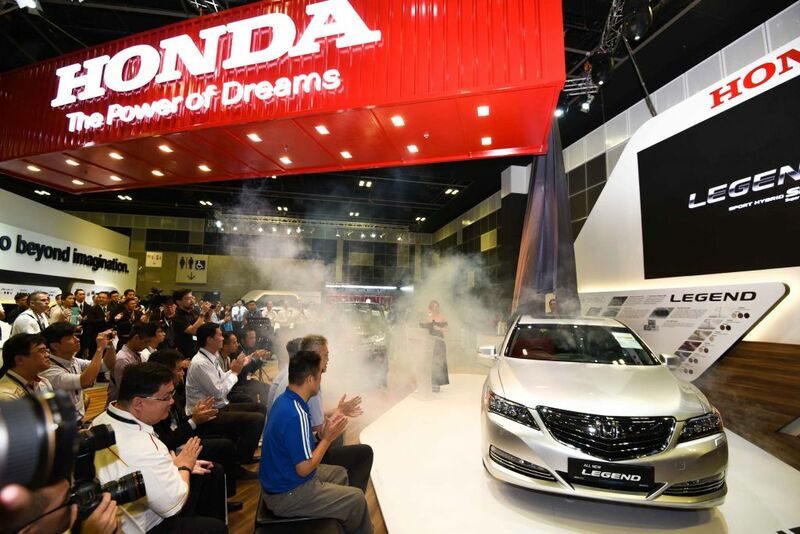 Gathering over 58,000 visitors per edition, the Singapore Motorshow is an unmissable event for motoring enthusiasts. 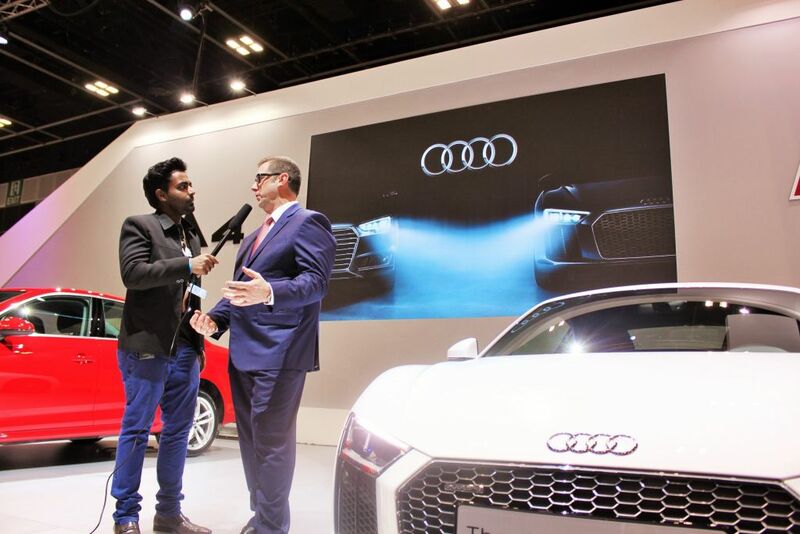 As the city's most celebrated event, the Singapore Motorshow gives everyone a glimpse of the latest and the best from some of the world's top automotive brands. 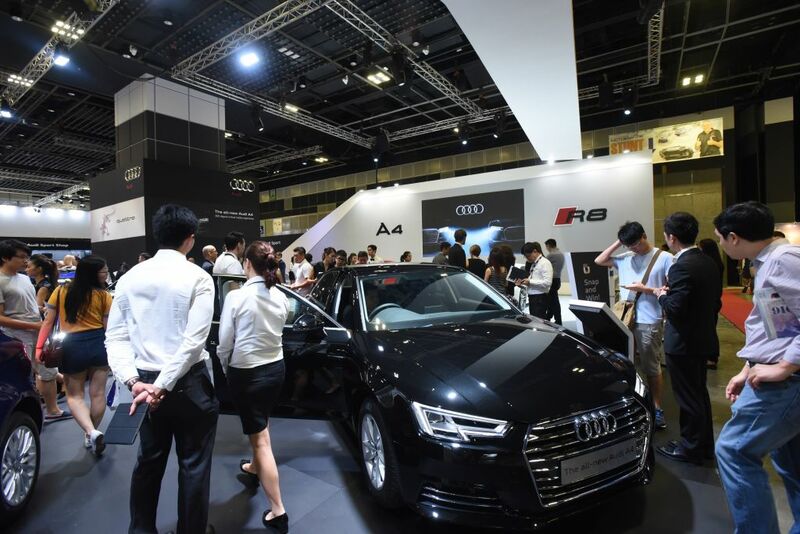 If you're part of this industry, don't let Singapore Motorshow pass you by - it can definitely be a great opportunity for your brand! In order to stand out, contact our team of experts in trade shows. We collaborate with many Stand Contractors in Singapore and we can easily find the one that best fits your needs! 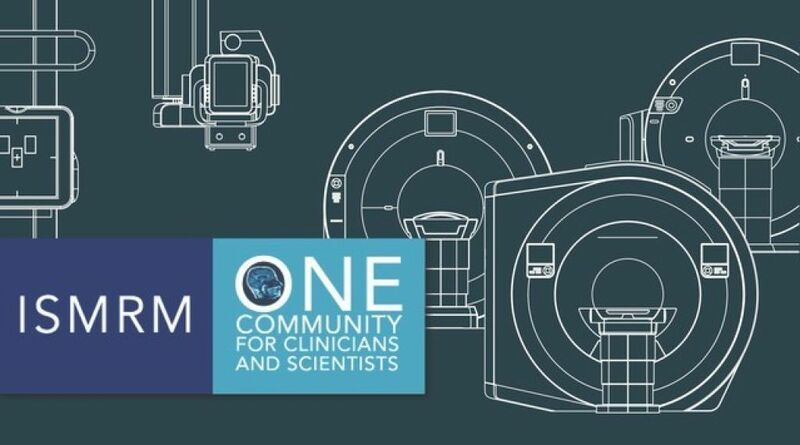 The International Society for Magnetic Resonance in Medicine (ISMRM) is a multi-disciplinary non-profit association that promotes innovation, development, and application of magnetic resonance techniques in medicine and biology throughout the world. 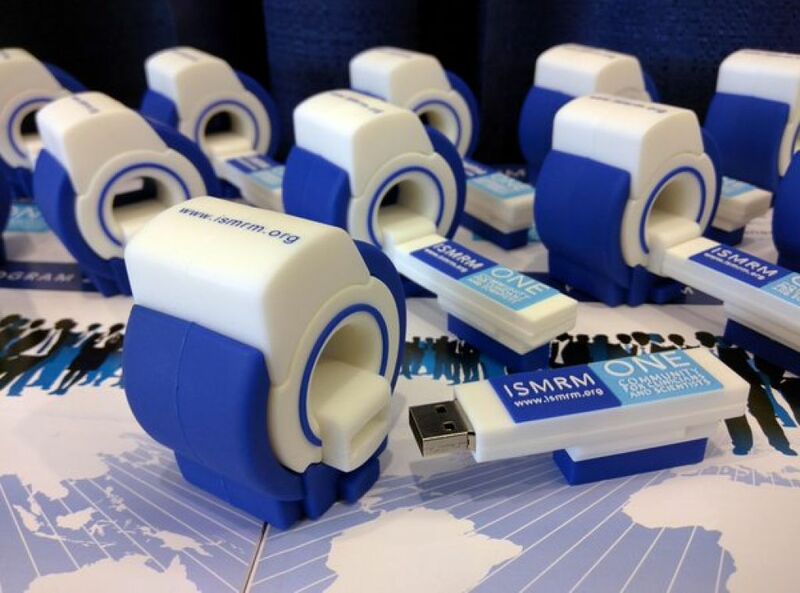 Each year, the association organises the ISMRM Annual Meeting, which gathers hundreds of professionals from 58 countries. If you want to participate in this exhibition and stand out from the other companies, contact us! Our experts will introduce you to a hand-picked selection of Stand Builders & Designers in Singapore. But don't forget, you need to be a member of ISMRM to exhibit in this fairs. Have unlimited networking opportunities with a growing international assembly of the world’s largest community of MR scientists, clinicians and technologists. Take advantage of many integrated marketing programs designed to meet your goals and differentiate you from your competition. Make business and network with an audience of over 6.000+ professional visitors from all around the globe. Present your latest products, equipment, services and studies and build your brand as a cutting-edge company. Here you'll have the opportunity to meet and network with many influential companies, such as: Bayer Pharma, AllTech Medical Systems, Cubresa, Flywheel, GE Healthcare, Bruker, Neoptix Canada, Pure Devices, Skope, HearVista, Epi Sonica, CorTechs Labs, Meet Hawai'i, ScanMed, Pure Devices, Springer Nature, Gold Standard Phantoms, Olea Medical, Philips Healthcare and Mediso Medical Imaging Systems. 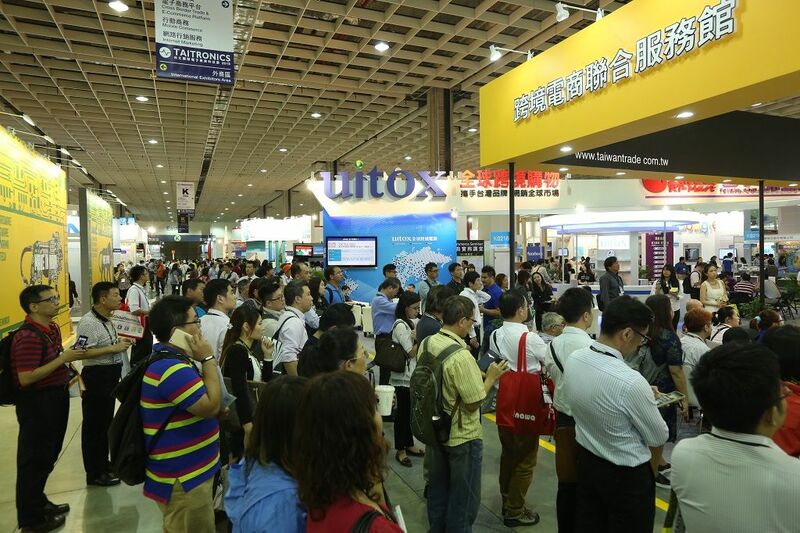 Organized by TAITRA, E-Commerce Show Asia is an exhibition dedicated to the E-Commerce industry. 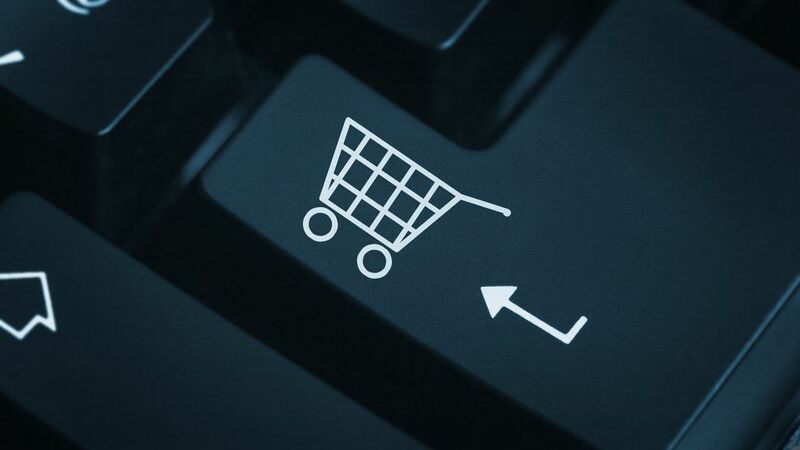 This unmissable event brings together the most prominent Asian stakeholders of the e-retail sector. If you want to participate in this fair, apply for an exhibition space and contact us! Our team of experts in trade shows will be delighted to introduce you to a exclusive selection of Stand Designers in Singapore! Join this inspirational fair and meet many prominent companies, including: Galaxy Software Services, E21 Magic Media, Taiwan AgriFood E-Commerce, Taiwan Internet and E-Commerce Association, APPIER, Asia Express Mobile Payment Corporation, IceWoods Digital Technology, Business Next Publishing Corp, Criteo, Facebook Singapore, Mobagel, Hyweb Technology and Google. 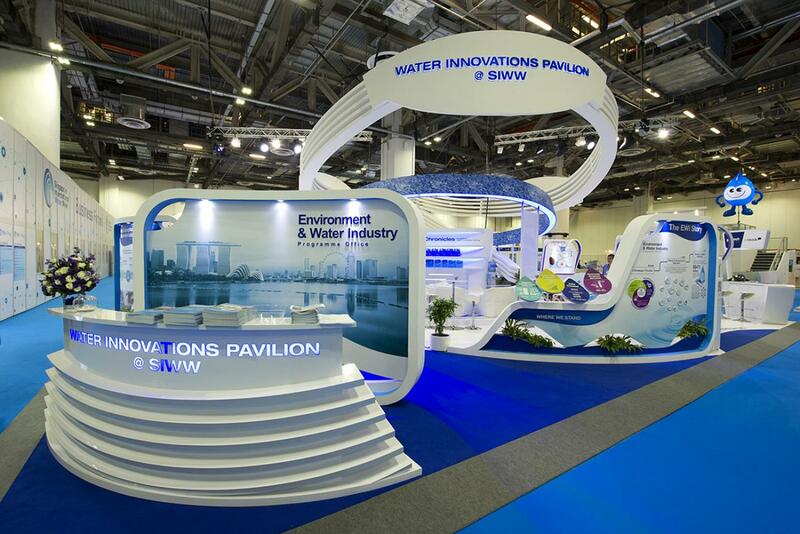 SIWW is the global platform to share and creat innovative water solutions! 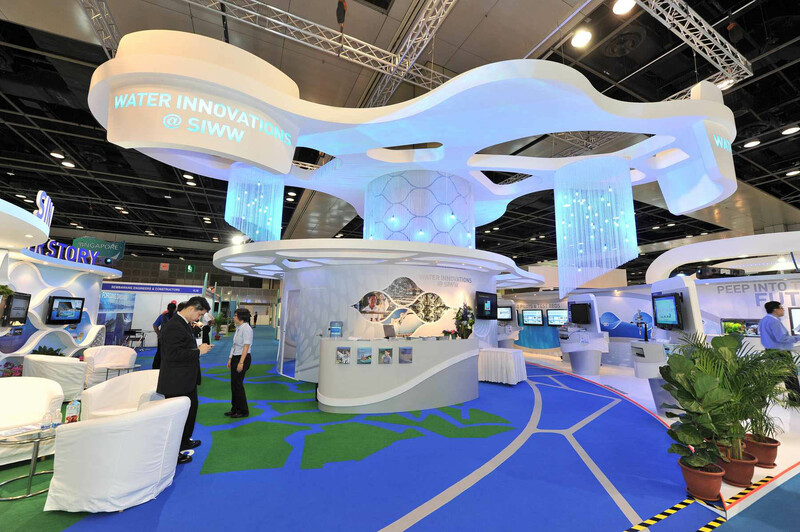 The Singapore International Water Week (SIWW) is the global platform to share and co-create innovative water solutions. This biennial event gathers stakeholders from the global water industry to share best practices, showcase the latest technologies and tap business opportunities. Like no other show, SIWW delivers a range of flagship programmes where industry players share the latest in business, scientific and technological innovation, and policy developments in water. If you need a stand for this year's SIWW, contact us - our team of experts in trade shows will introduce you to a hand-picked selection of 5 Stand Designers in Singapore. Water: clean transport, sanitation, waste control & management, eco-products, environment control & protection, disposal & recycling, water treatment, catchment management, water treatment, etc. Cities: urban planning, climate change, architecture, public security, public security, smart energy systems, fire protection, sustainable construction, mobility, etc. Environment: bins, skips and composters, landfill operators, renewable energy, alternative fuels, hooks and lifts, environment consultants, construction waste, hazardous waste, waste treatment systems, sustainable development agencies, etc. 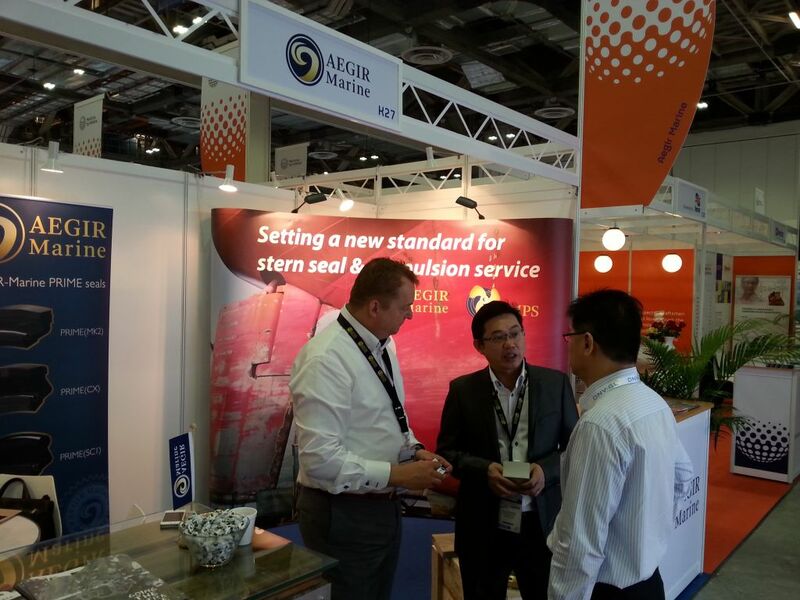 SIWW attracts companies from all around the globe, including: Aquionics, Amiad Water, Bermad, Berson UV, Aquionics, Boustead Salcon, BASF, CDM Smith, Calgon Carbon, E.H. Wachs, Easter Trade Media, Amiad Water Systems, Asia Water, For Earth, Everything About Water, EGIS, Easter Trade Media, Genaphora, Gal-Al, Hakohav, Hemera and Hyflux. Join them and forge valuable alliances! And more...! Join SIWW and expand your business! 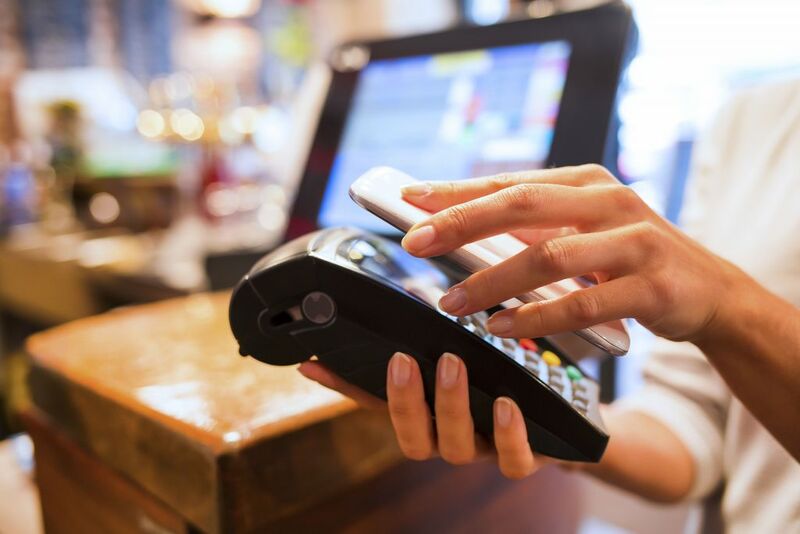 Cards Asia is the perfect place for companies wishing to be seen as a leader in payments and engage with the payments industry in Asia. Gathering over 8,000 attendees from all around the continent, Cards & Payments Asia is the perfect platform to forge new business deals, generate sales, meet potential partners and stay up-to-date on the latest trends & innovations. Cards & Payments Asia is a large exhibition spanning 10,000 sqm of exhibition space, making the event the largest payments show in Asia. This is an ideal place for solution and technology providers to showcase and demonstrate the very latest in payment solutions. If your exhibition space has been confirmed, contact us! 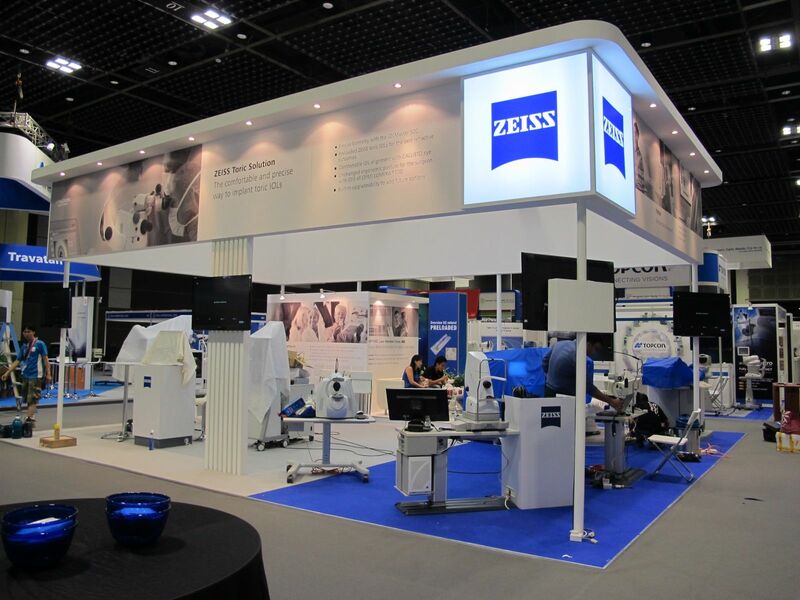 We will be delighted to introduce you to our best Stand Designers in Singapore ! Cards Asia gathers many notorious companies, such as: 21st Century Foundation, Aesthetic Multimedia India, Eastvantage, Atlantic Zeiser, Citibank NA, Copperwired, Deskmoz, First Data, Kicoto International, HID Global Corporation, ICVEX, JaKay Enterprise, Myanmar Red Dot Network, Mozido EUA, Oberthur Technologies, Orion Systems and Philips Electronics Singapore! 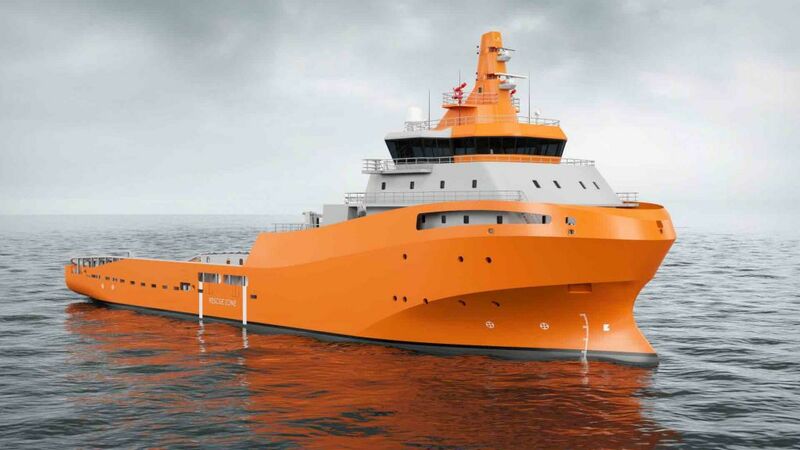 Held in Singapore, Offshore Vessel & Rig Connect Asia is the largest annual meeting place for the Asia Offshore Vessel Industry! This event compromises an exhibition, many networking events, seminars and technical talks. Join Offshore Vessel & Rig Connect - it is the ideal place to showcase new products and interact with local & international experts! 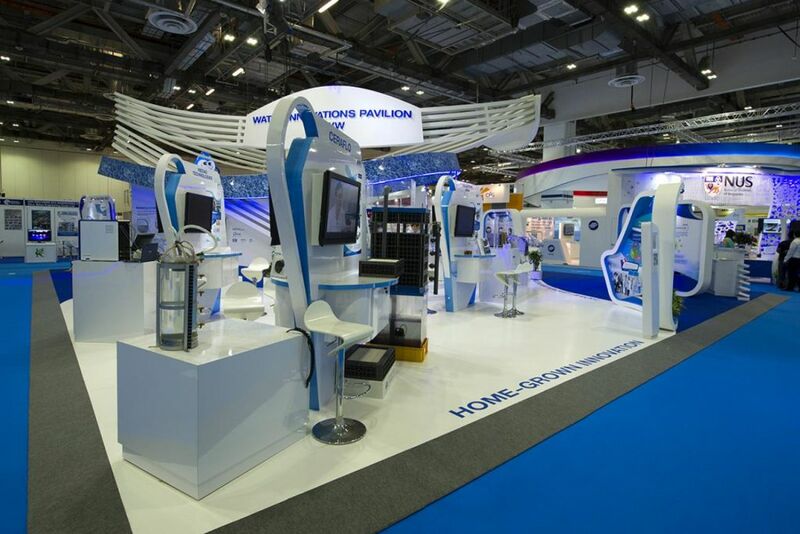 If you need a local stand designer to build your Stand in Singapore, contact our team of experts in trade shows. They'll be delighted to a selection of 5 contractors. Here you'll be able to network and exchange information with representatives from: Assa Abloy Group, Navieros del Golfo Sa de CV, Bureau Veritas, Allianz Marine, BloomField Law Practice, Stanford Marine and DNV GL. 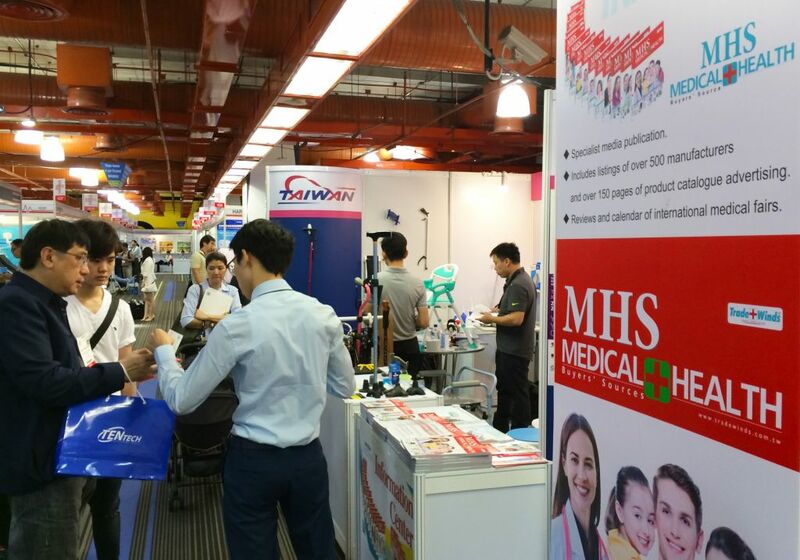 IDEM Singapore 2016 is your gateway to the Asia Pacific´s dental market. The trade show offers a massive 18,000 sqm of exhibitions space with over 550 international exhibitors booked already. 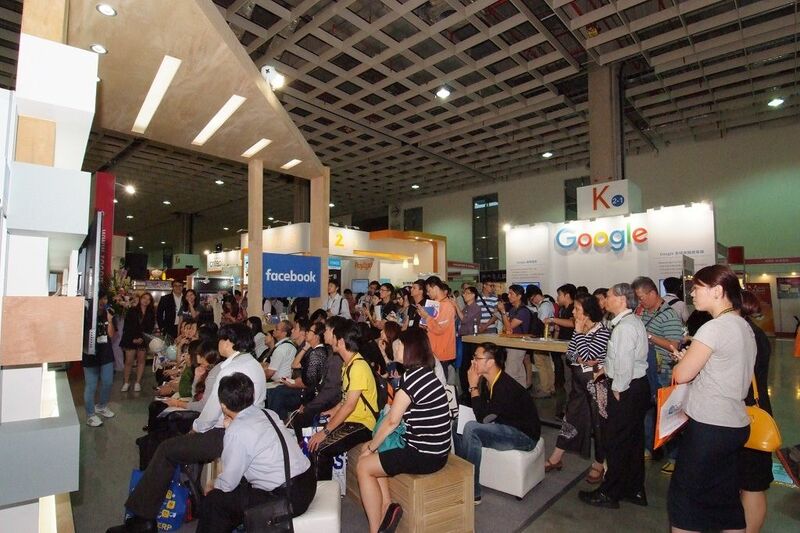 This translates to over 8,000 dental professionals forming a motivated and highly targeted audience at IDEM Singapore. 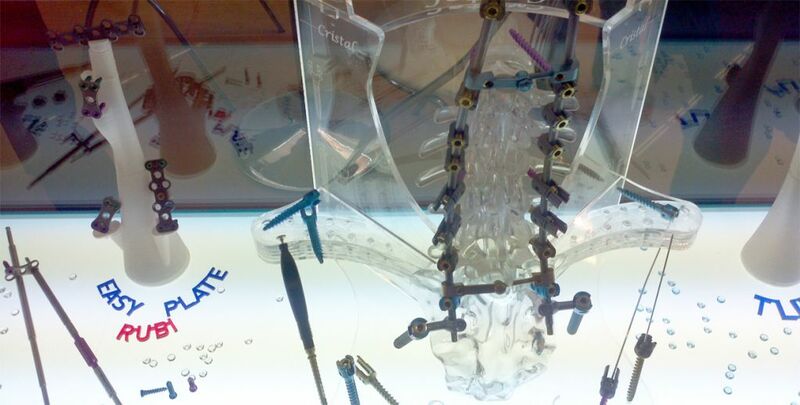 This is the must attend exhibition for any dental professional in the Asia-Pacific region. If you’re looking for a way break into the dental market of one of Asia’s most incredible cities, look no further! Contact our team of specialists to find the best Stand Contractors in Singapore. 3M Technologies Pte. Ltd., ABIMO, Ace Surgical, Atria Inc., Asia Pacific Dental Students Association, FDI World Dental Federation, Eastland Dental Supplies Pte. Ltd., HDI Inc., Healthcare Learning, Innobrace Orthodontics Pte. Ltd., Leaderguide International Co. Ltd., Pearly White Pte. Ltd., Philips Electronics (S) Pte. 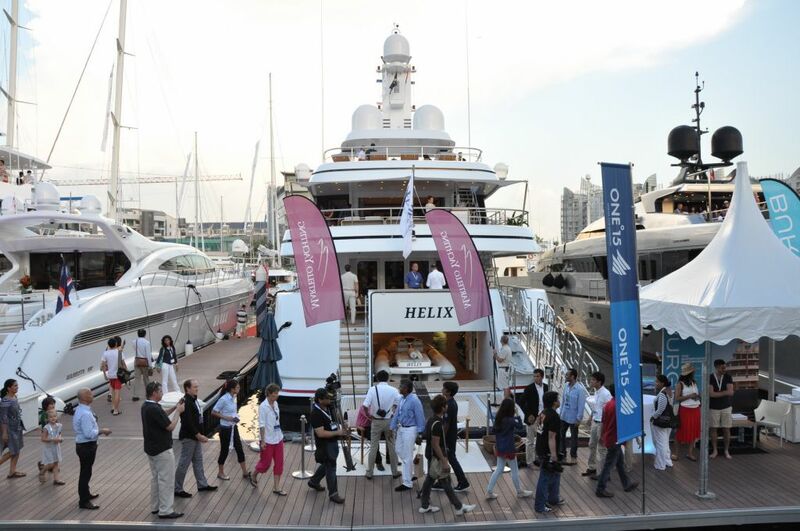 Ltd.
Singapore YachtShow is the most glamorous sailing and motoryachts event in the world! Singapore YachtShow is your opportunity to discover some of the world's finest superyacht and international yacht brands in an elite and highly social setting. It provides a first-class platform for regional guests to meet yachting professionals, boat owners, supercar aficionados and a select group of invited participants keen to explore the luxury yachting scene. Are you an exhibitor? 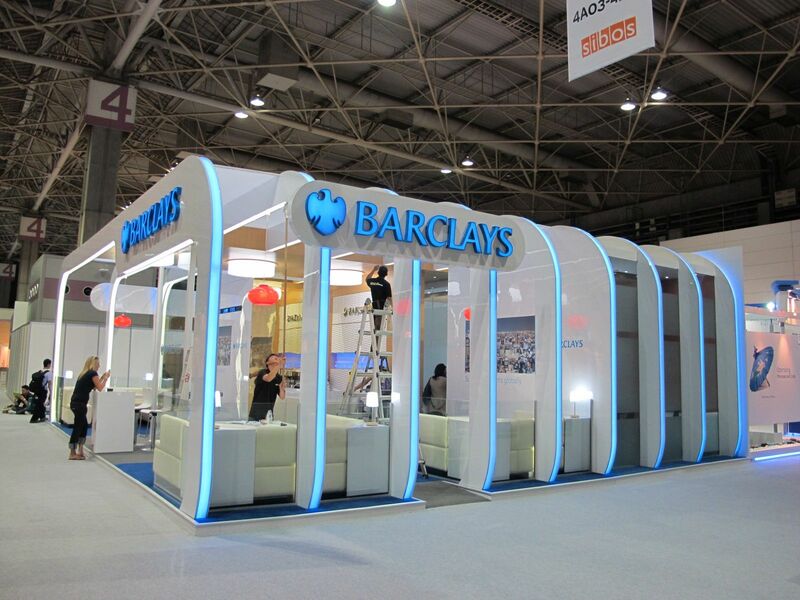 If you want to catch everyone's attention, it is always a good idea to invest in an attractive exhibition booth. 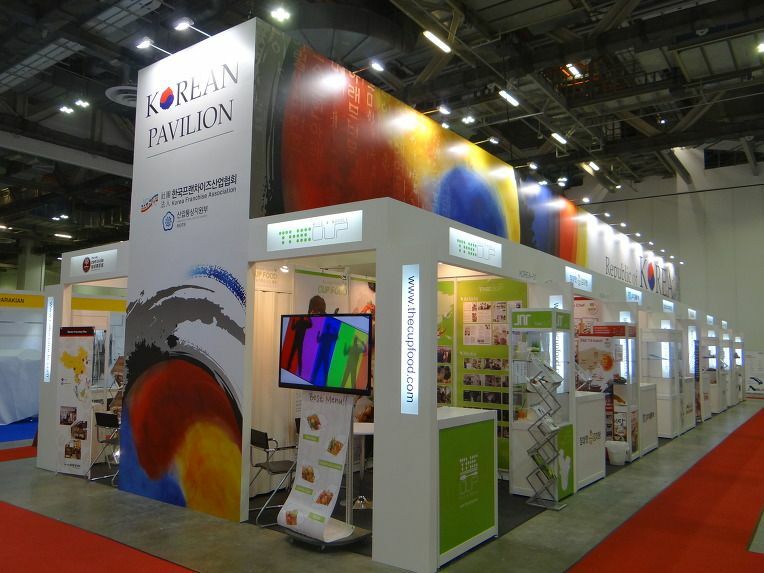 Contact our team of experts in exhibitions and they'll find you the best Stand Designers in Singapore! 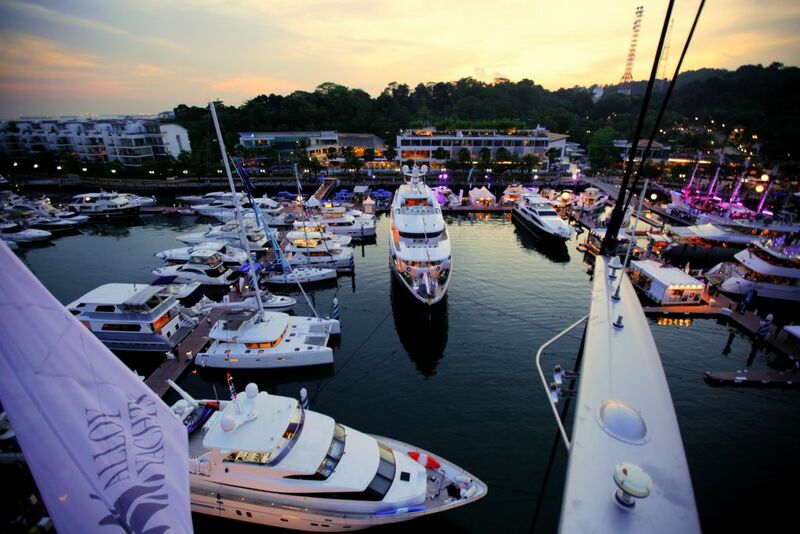 The Singapore Yacht Show is unlike any other event in the region. With a distinct focus on the most glamorous sailing and motoryachts in the world, the show is a first-class marketing platform for luxury yachting brands. Join this event and meet many potential partners and buyers! Join Singapore's YachtShow and meet many renowned companies such as: Sunbrella, AXA, Heesen Yachts, Funair, Fincantieri, Station Go, Port Takola Marina, Dassault Falcon, Cape Craft, X-Yachts, NSSL Global, Benetti, Silver Yachts, Station Go, Orca Scuba, Heysea Yachts Company Limited, Waterfight, Lloyd Marine and Supratechnic! APEX Expo: top-notch educational sessions and a really comprehensive exhibition! 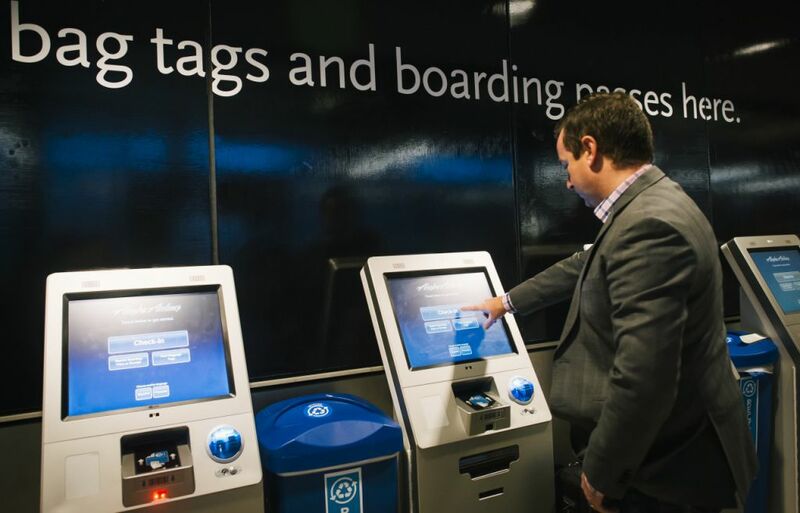 APEX Expo is the only event exclusive to experts and decision-makers committed to elevating the level of the airline passenger experience from around the world. This premier event features top-notch educational sessions & a highly comprehensive display of airline related technologies, products and services covering these core areas. Planning on exhibiting? If you a need a stall in APEX, we can help you find the most reliable contractor companies! 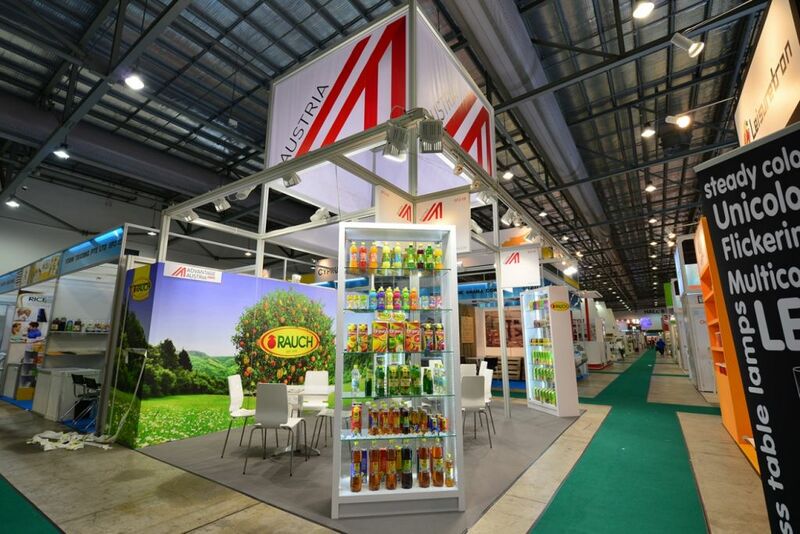 Contact our team of experts in trade fairs and they'll introduce you to the best Stand Designers in Singapore! 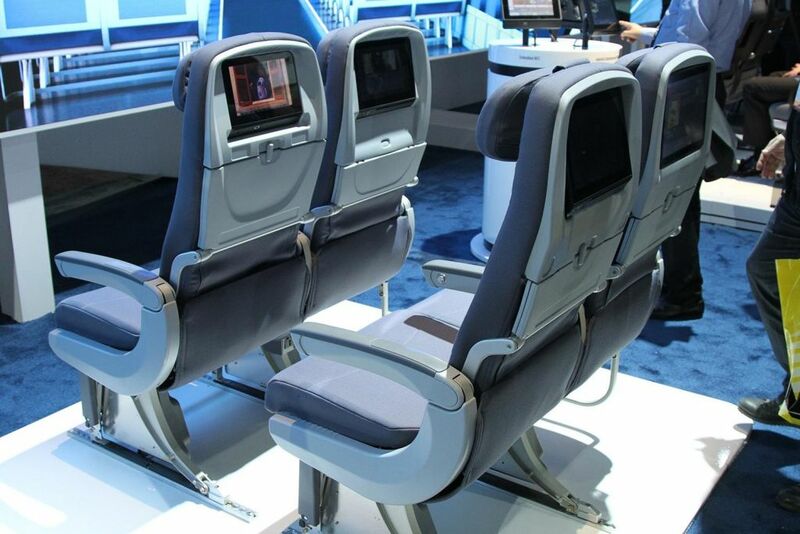 1) Comfort & Ambience: seating & fabrics, lounges, lights, sound, lavatories, interior design & architecture, etc. 2) Entertainment & Connectivity: AVOD, content, connectivity, apps, ancillary revenues. 3) Catering & Services: online services, catering & entertainment, airport services, inflight services, retail, etc. APEX attracts companies from all around the globe, including: Air Electro, Bose Corporation, digEcor, Airbus, Entertainment in Motion, Emphasis Video Limited, Eros International Media, Fox Channels Contents, BBC Worldwide, Honeywell, General Dynamics, Inflight Dublin, Lumexis Corporation, Mills Textiles, NBC Universal, Gogo, Lufthansa and Sony. Held in Singapore, Asia Pacific Maritime is Asia's premier exhibition and conference focusing on shipbuilding & marine, workboat and offshore. Gathering the world’s maritime & offshore community, Asia Pacific Maritime expects to attract 15,000 visitors and decision makers from Asia, 1,500 international products & services companies from over 60 countries including 18 country pavilions and over 50 industry influencers, all in one single platform to buy, sell, network and learn. Be among the 1,500 international products & services companies from over 60 countries including 16 international pavilions expected to attend APM 2016. This is where you will meet more than 15,000 industry professionals from Asia and over 50 industry influencers, all in one single platform over 3 days. 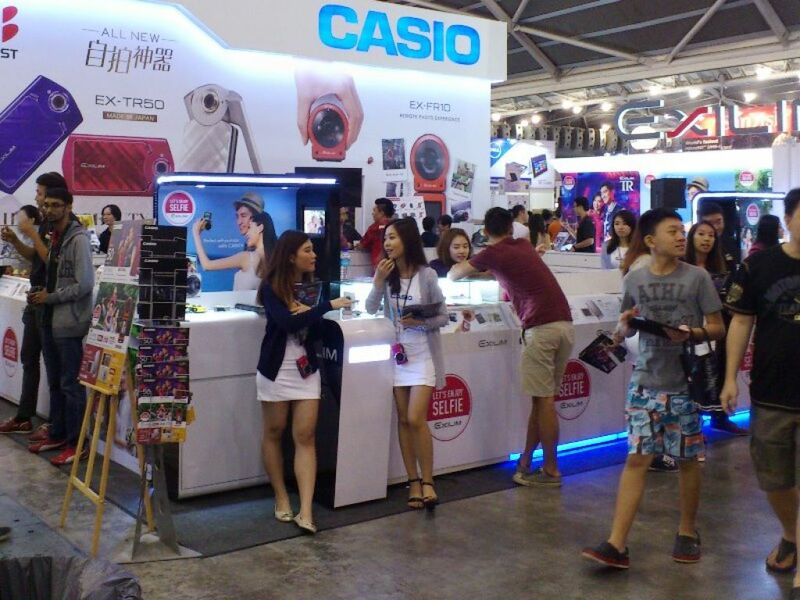 If you want to meet the best Stand Designers in Singapore, contact our team of experts in trade shows! Join APM and meet many companies, such as: 3 Waves Energy, Sawamure Valve, Mackay Marine, Mareflex, Renk, Revalves, Roodberg, RusTibus, Geberit, Gas Clip Technologies, Gewiss, Gerflor, 2 France Maritime, Sabik, SafetyWare, Safety Innovations, Bals Elektrotechnik, Baoham International, Barillec and Beng Hui Marine. Held in Singapore, Maison & Object Asia features high-end interior design concepts and solutions. As a reflection of the ever-growing industry trends of the region, this show captures the spirit of a global hub where property developers, hoteliers, restaurateurs, designers and architects meet and share insights. if you want to participate in this fair, apply for an exhibition space by filling the Pre-Qualification Form you'll find on the event's web-page. If then you need a stand designer, contact our team of experts in trade shows - They'll introduce you to an exclusive selection of Stand Contractors in Sinpagore! Lava East, Devi Design, Linenme, Atlier by Cebu Filveneer, Costa Nova Portugal, Sharda Exports, Fanex France, Y Studio, SEMPRE, Foxcat Design, Karimoku Furniture, Cotto, Hafizia Art & Crafts, Toulhoat, Takaokaya, Klaar Prims Glass & Crafts, Muse Design, Burel Factory, Maria Portugal Terracota, Drii Design, Un Rendez-Vous Français and Marunao are some of the brands & designers you'll meet in these halls! Join them and get inspired! 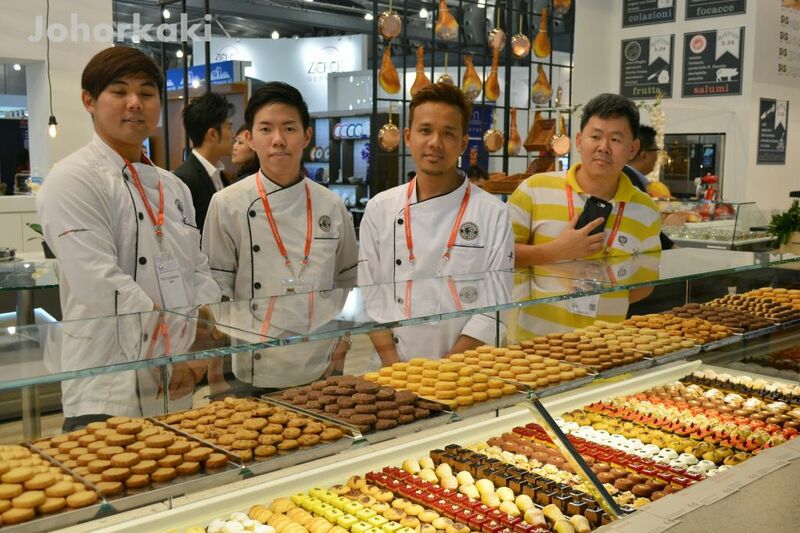 From refined confectioneries to exotic condiments, FoodAsia Singapore has it all! 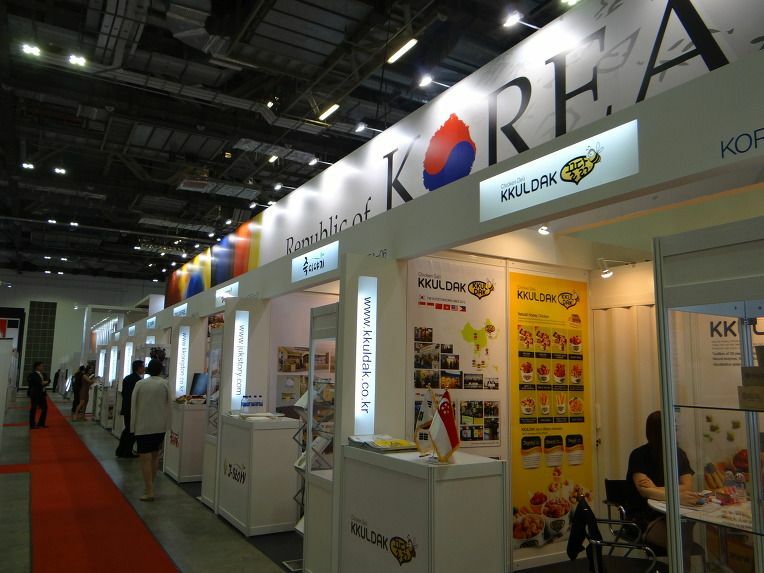 Held in Singapore, FoodAsia is one of the world's largest and most comprehensive food shows. Each edition, more than 3,000 exhibitors from all around the world gather in the Lion City to present new products & services, network and make business. From fresh produce to ready-to-eat products, and confectioneries to beverages, this dedicated F&B platform caters to the every need of the Asian buyer. 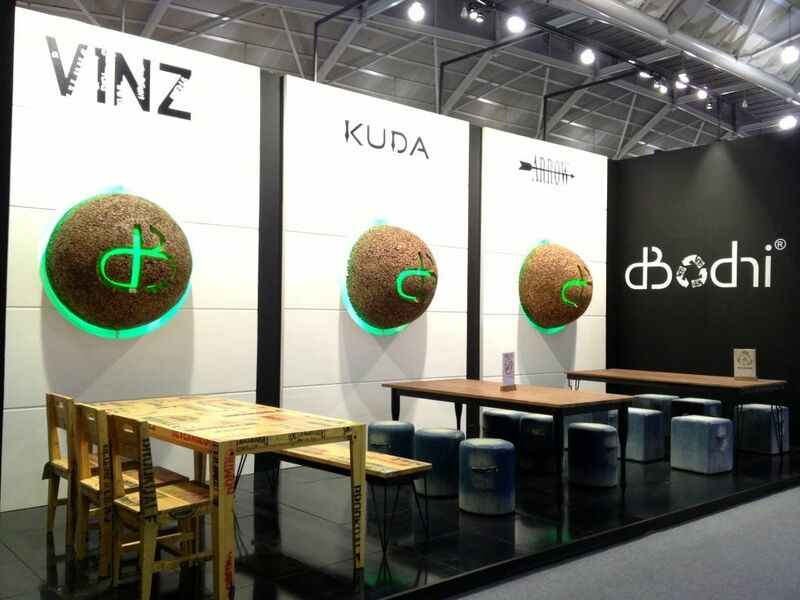 If you want to display your products in this fair, contact our team of experts in trade shows. They'll introduce you to the best Stand Contractors in Singapore! Join FoodAsia and meet companies from all around the globe, including: 3T Frontiers Singapore, Aceites Mayo, Acetum, Agrisource, Agro Sevilla, Alberta Agriculture, Almex Systems, Kino Biotech, Koka, Mandai Link, Mas Pares Duck & Goose Spain, Mellona, Mepra Italy, MoCafe, Mueloliva & Minerva, Nevana, Nespresso, SOPEXA and Supervalu USA. 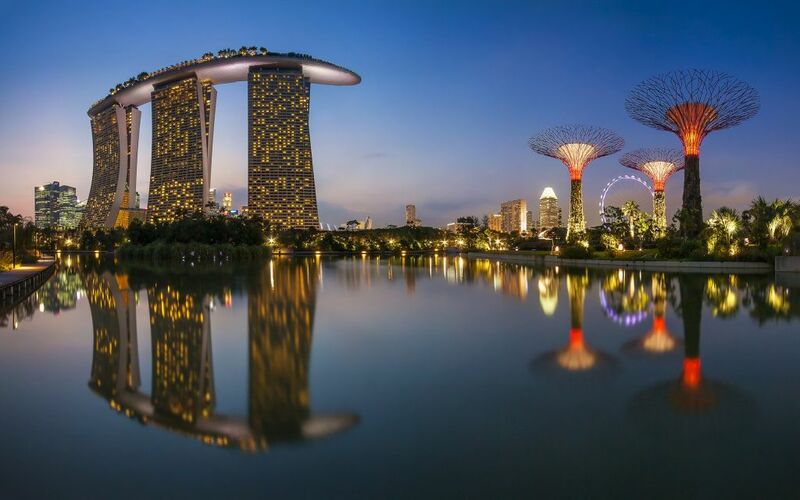 After three successful editions of SpineWeek, the 4th edition will be organized in the Republic of Singapore, thanks to the increased interest from Asia-Pacific region for this congress and with participation of important societies as the Indian & Chinese national spine societies. Don't let this year's SpineWeek pass you by! In order to exhibit, you just need to apply for a stand and start preparing your trip to the Lion City! If you want to catch everyone's attention, it is always a good idea to invest in an attractive exhibition stand. 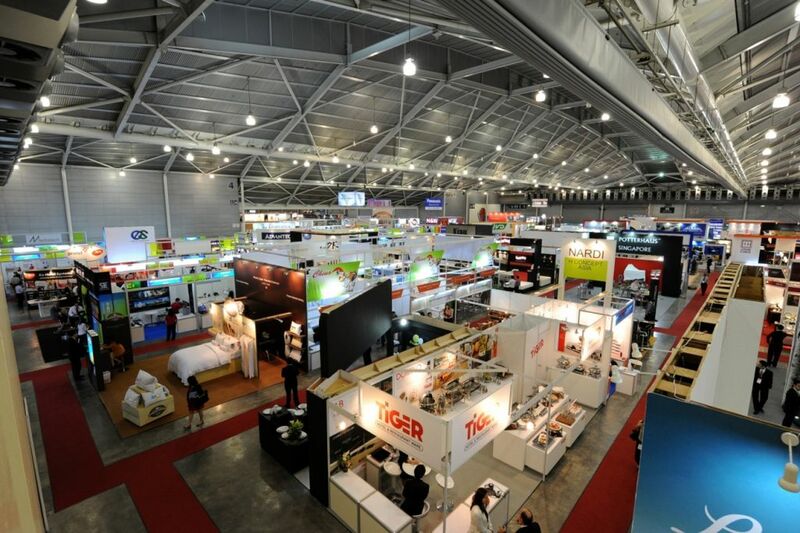 Contact our team of experts in trade fairs and they'll introduce you to the best Stand Design Companies in Singapore! 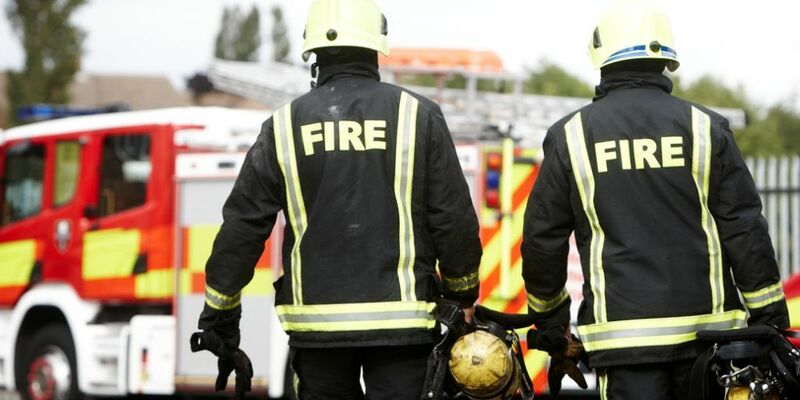 If you're part of these sectors, Fire & Disaster is a mandatory event for your company! 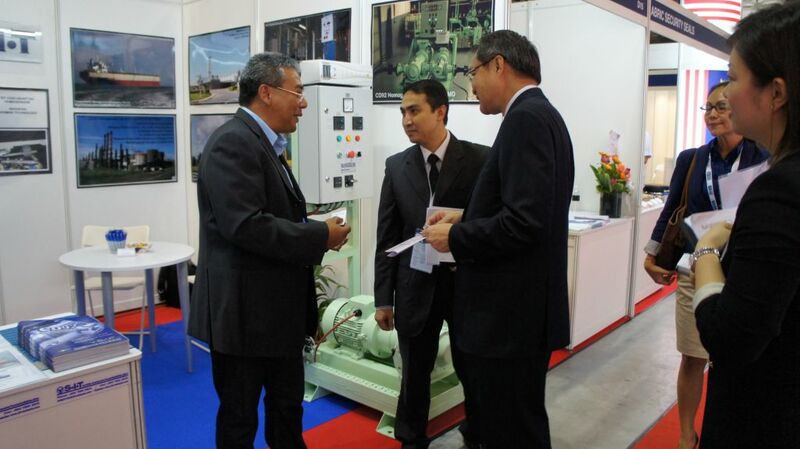 Contact our team of experts in fairs and they'll introduce you to the best Stand Contractors in Singapore. And more! 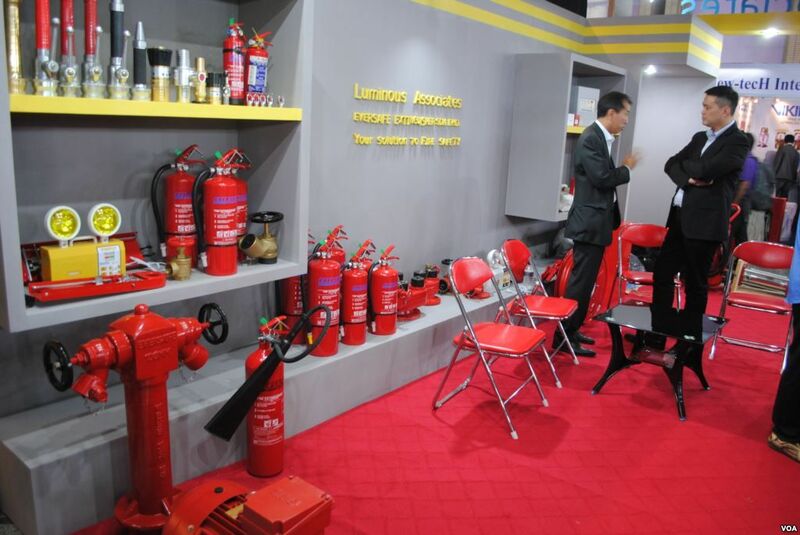 Fire & Disaster Asia also offers many sponsorship and advertising opportunities. Take advantage of these packages and maximize your exposure and branding! Sakura Rubber, Parafoil Design & Engineering, Tüv Süd, Hope Technik, AccuSafe, Campers' Corner Outdoor Outfitters, Hexcel Solutions, K.A. Fireproofing, Deluge Offshore & Marine, Xinke Special Textile, Rosenbauer International AG and Sutphen International are some of the companies you'll meet in this fair! FHA Food & Hotel Asia features an extensive selection of products and supplies by international manufacturers and suppliers for the food and drinks sector. From fresh produce to ready-to-eat products, and confectioneries to beverages, this dedicated F&B platform caters to the every need of the Asian buyer. 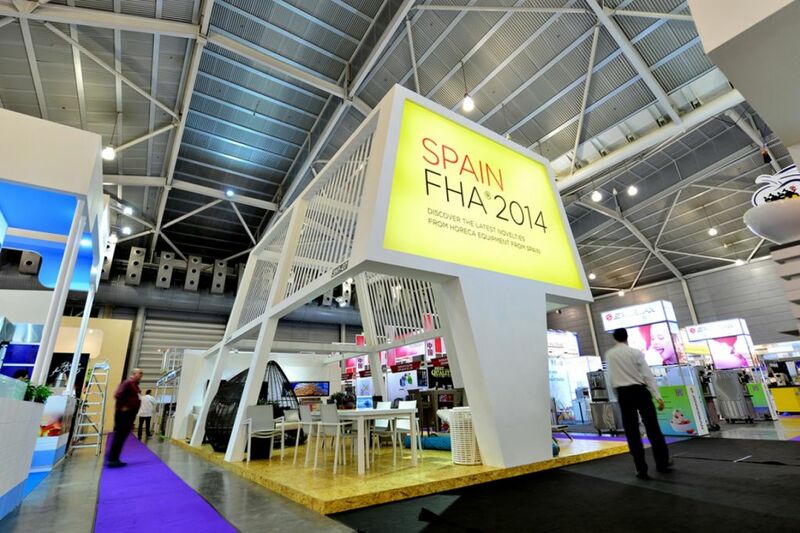 If you're part of Hospitality Industry, don't let this year's FHA Singapore pass you by. It can definitely be a great opportunity for you and your company! In order to stand out, contact our team of experts in trade shows. We collaborate with thousands of Stand Booth Contractors in Singapore and we can easily find the one that best fits your needs and budget! Sitex is the biggest run IT show in Singapore! Sitex is the longest run IT show in Singapore! 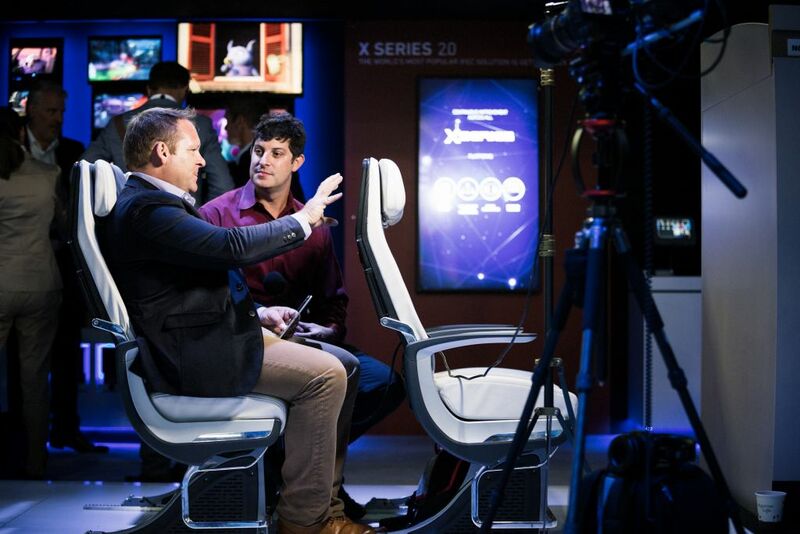 Ever since the launch of SITEX, it has always been pictured as the people’s Digital Playground, the infocomm event of the year where consumers come face-to-face with innovative technologies and products. Be part of SITEX - Singapore’s most established lifestyle IT event since 1988 with over 500 brands spread over 20,000 square metres of exhibition space! Apply today for an exhibition stand and contact our team of experts in trade shows. 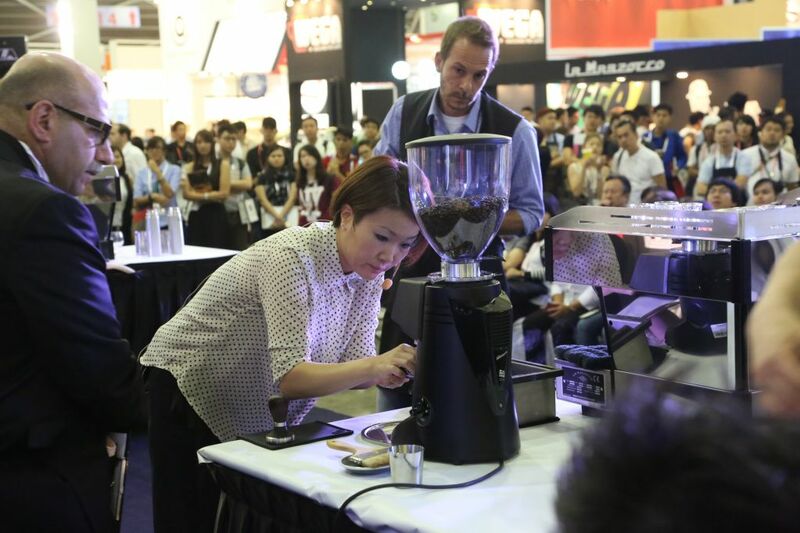 They'll introduce you to an exclusive selection of Stand Builders & Designers in Singapore! Computer Systems: desktops, laptops, notebooks, tablets, terminals, etc. Peripherals: keyboards, add-on-cards, printers, CD ROM, monitors, hardware and software locks, etc. Imaging: bar coding, input devices, digital cameras, display devices, image capture devices, etc. Multimedia: media sound cards, CD titles, education, computer games. Media: filters, cartridge, tapes, mouse, filing systems, etc. Software: business, entertainment, educational, anti virus, networking, security, data management, etc. Networking: electronic mail, cable tv, mobile computing, video conferencing, modems, etc. GamePro, 18.com Electronics, Alcom Electronics, Acryan, Best Denki, Canon, Cybermind Computer House, Best Denki, HP, Inxus Solutions, Panda Tech, Starhub, Streamcast Asia, NaviCom Technology, Panda Tech, Samsung, Starhub, UOB, My Republic Pte, Middle Sky International and Sports Technology are some of the companies you'll meet at Sitex! Join them and forge many valuable partnerships! Don't wait any longer - apply today for an exhibition booth and let us find you the ideal stand contractor! Your exhibition will surely be a success! IFFS is Asia's most exciting furniture sourcing platform! 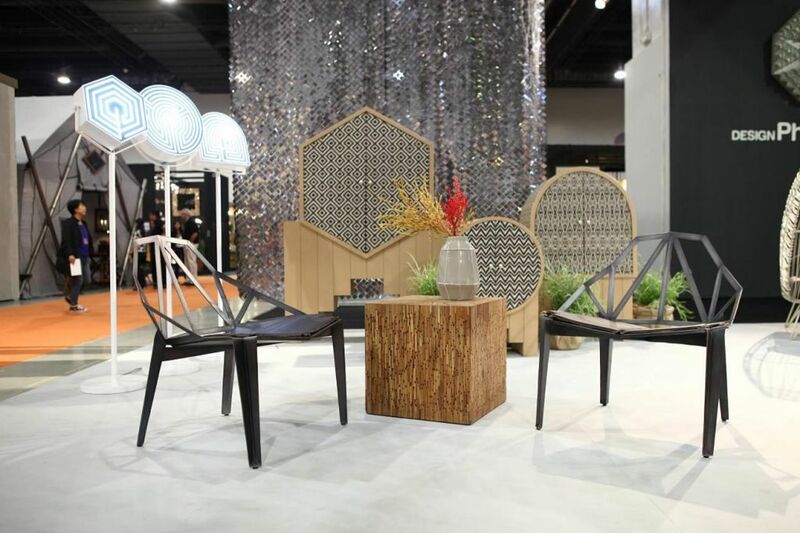 Held in Singapore, IFFS is known as Asia's most exciting furniture sourcing platform. With over three decades of experience since its inaugural event in 1981, IFFS is still the most distinctive channel for regional and international companies to penetrate the global market. If you're part of this industry, don't let IFFS pass you by - it can definitely be a great opportunity for you and your company! In order to stand out, contact our team of experts in trade shows. We collaborate with hundreds of Stand Designers & Contractors in Singapore and we can easily find the one that best fits your needs! 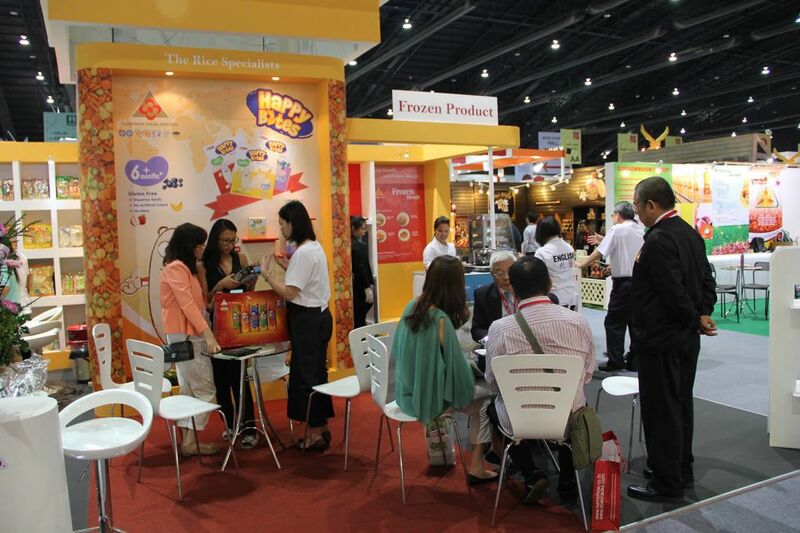 IFFS attracts exhibitors from Australia, Belgium, Canada, China, Denmark, France, Germany, Hong Kong, India, Indonesia, Italy, Japan, Macau, Malaysia, Myanmar, Netherlands, Peru, Philippines, Romania, Serbia, Singapore, Taiwan, Thailand, South Korea, United Kingdom, United States and Vietnam. It is a truly international gathering! Antique Express Singapore, Best Wood International, C&R Interiors, Embowood, Esthetik Kreation, Haleywood Industries, Haven Lifestyle, Home of Homes, Nanyanf Polytechnic, Novaz, Norrmade, Allpower Display, Bellagio Asia, Grand Garden Products, Ethnicraft and Jimmy Possum are some of the exhibitors you'll probably meet. Join this exquisite community and forge new partnerships! Entry is restricted to bona fide members of furniture, decor, hospitality, woodworking & soft furnishings industries and over the age of 16. 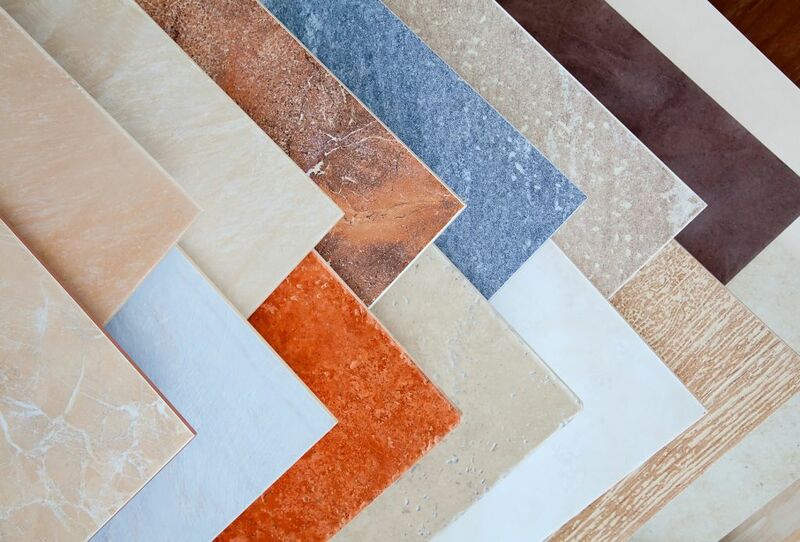 These include Retailers, Designers, Decorators, Architects and relevant buyers from Hotels, Restaurants, Healthcare, Aged Care, Government Agencies, Educators, Real Estate & Building and Construction sectors. Those not involved in the relevant industries will not be eligible for admission. Held for the first time in 1998, OS+H Asia is the region's most important and dedicated exhibition for the workplace safety and health sector. 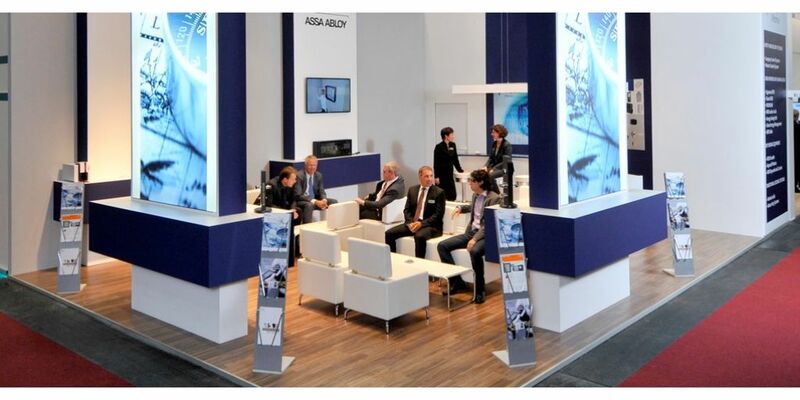 Organized by Messe Düsseldorf, this biennial exhibition remains unique in Southeast Asia; it is an exclusive one-stop synergistic sourcing and networking platform for all OSH practitioners and professionals. If you're planning on joining the OS+H exhibition, don't forget to contact our team of experts in trade shows. 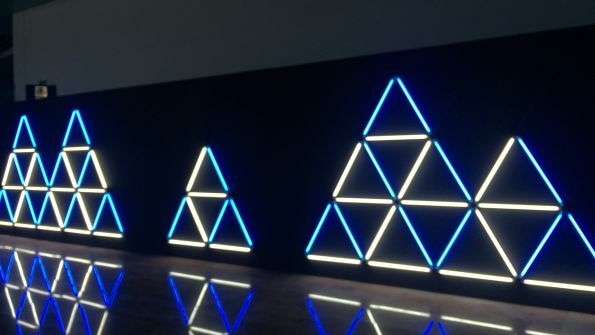 They will introduce you to the best Stand Builders & Designers in Singapore! 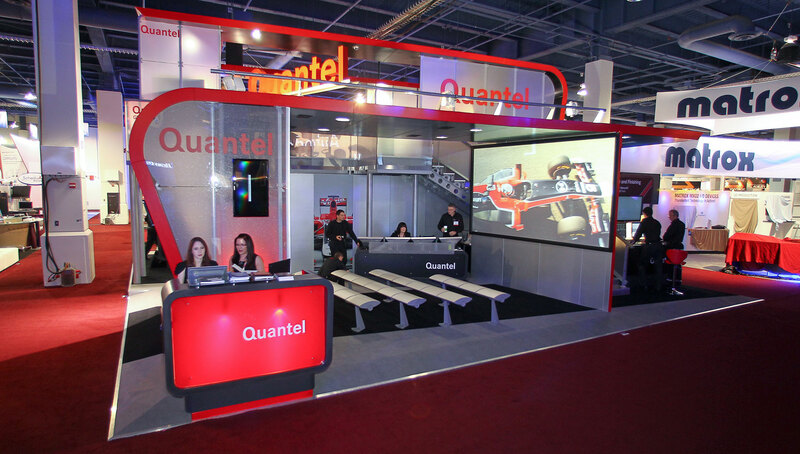 We collaborate with thousands of incredible stand contractors and we'll find you the one that best fits your needs! Agriculture, forestry, mining, building & construction, medical & healthcare, pharmaceutical, ship building and marine, oil & gas, hospitality, food & beverage services, chemical and petrochemical processing, banking & finances, manufacturing and assembly, and so on. Broadcast Asia (BA) is Asia's most established broadcasting, film and digital multimedia event. Besides showcasing the newest innovations (in equipment, services and technology), BA is also the perfect place to share business strategies and establish new contacts. Here you can meet more than 650 international exhibitors (including ARRIS, Axon Digital Design, GoPro, Ericsson and Sony) and learn with the finest experts during the conferences. It is an unmissable show for all those involved in this industry. 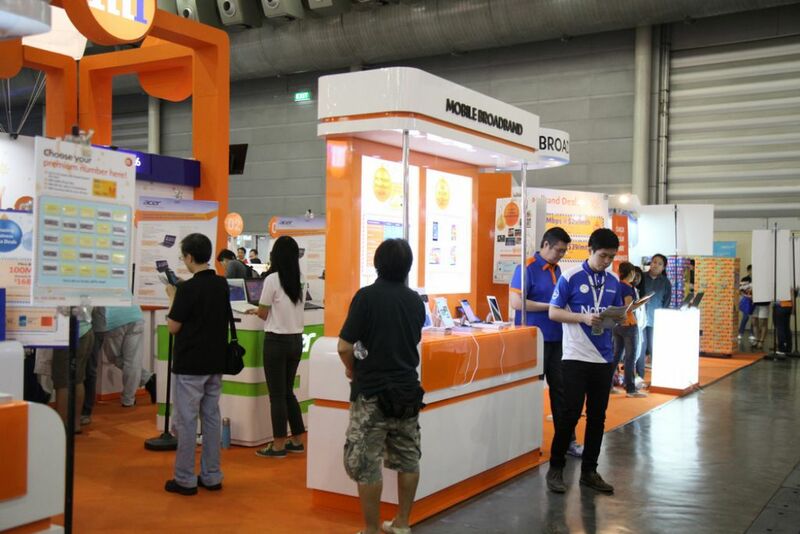 CommunicAsia is the top event for the constantly changing sector of info-communications technology industry. Being recognized as the hot spot to experience, learn and connect with thousands other industry professionals, it has grown into one of the region’s most comprehensive conference. We will be pleased to help you in booking the right stand for you, we know the most efficient and productive stand designers and builders in the area. In four days you got 12 tracks and multiple workshops, you can join in any conferences as it covers absolutely every topic there is. From big data, cloud, digital transformation of telcos and enterprises, fixed and mobile broadband and many, many other topics in the making. 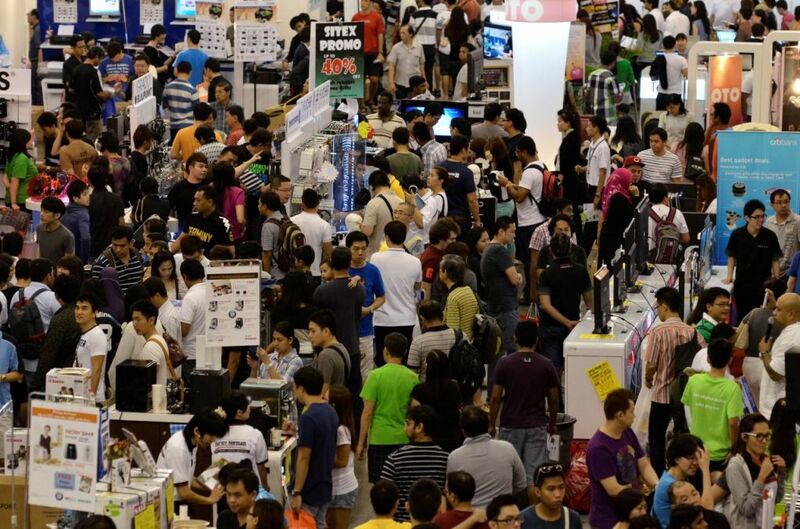 Without a doubt, you need to be among the 34,000 attendees or 1,2000 exhibitors. Either to listen in to any of the 180 speakers or to exploit your company to take it to the next level, book a stand and be here front and center. 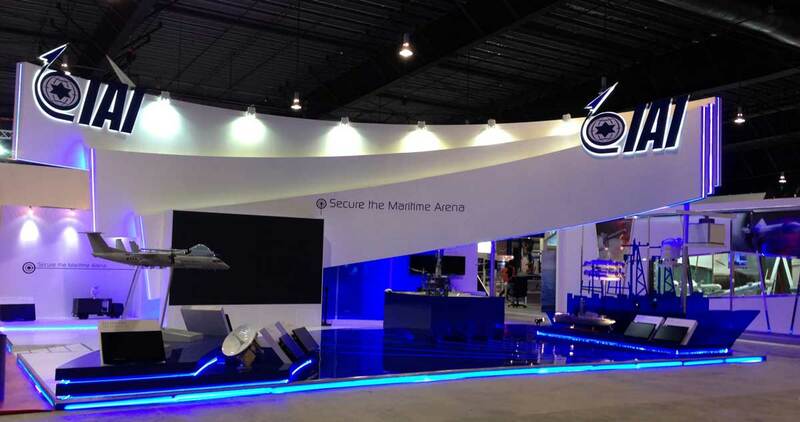 One of the leading international maritime defense show is IMDEX. Dominating this sector, they always push themselves into higher ground. Its extensive programing will allow you to see strategic conferences, participate in a global platform with experts and stakeholders and showcase your products to the world. If you have been wanting to expand your own products into a further sector, this is your opportunity to do so. Book a stand, talk to us and we will be happy to help you find the right stand designer and builder that you need. All free of cost and if that wasn't enough, they will be right in the area, awaiting your every need. Finding solutions to every day problems, being able to update yourself in everything you do and having a chance to be surrounded by 10,000 fellow professionals are more than enough reasons why you need to participate here. Represent the best of your business, follow your own leads and discover IMDEX. 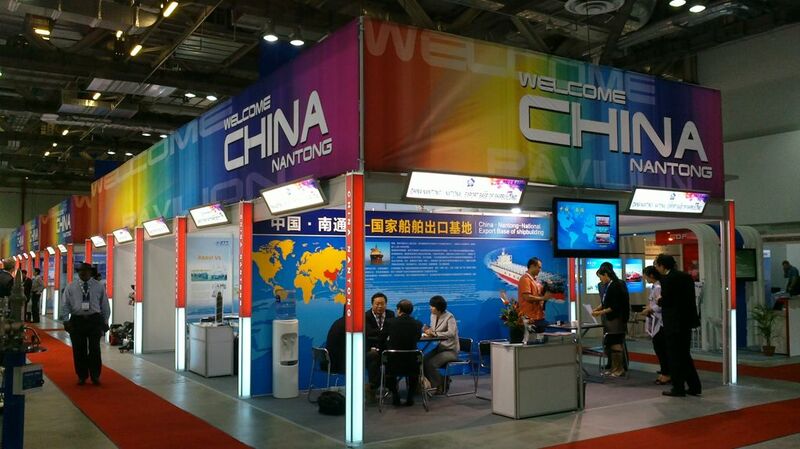 Your gateway in the maritime industry is Sea Asia, an action-packed platform set in Singapore. It has the top podium in pushing business forward, networking with professionals and promoting brand-new products from around the world. Talk to industry leaders and make further deals, be sure to set up a stand. Once you do, contact us and we will be able to help you choose from the finest stand designers in the area. Assuring a key success rate at the event for you and your company. Counting with more than 385 companies, this leads it to represent diverse sectors of the maritime and offshore industries all under one roof. Half of the visitors are decision-makers who have purchasing responsibilities and are looking for additional opportunities to invest their business in. From experts to newcomers to the field, you are more than welcome to participate and get your company on the right track. Sibos expo is all a great place to talk to the leading financial industry figures and debate with them face-to-face about the newest developments and trends. Adding to this great advantage, there is a conference program that addresses all the key industry issues and are welcome to join in at any time. Its main goal is to network and close business deals as much as possible all throughout this event. At its show floor you will be able to meet more than 200 financial companies, vendors, consultants and more executives from around the world. This show works on the best ways to solve common problems in the field. As it also showcases the projects and novelties first-hand. Don't miss out and bring your products! Get with the comprehensive program at Asia Pacific. 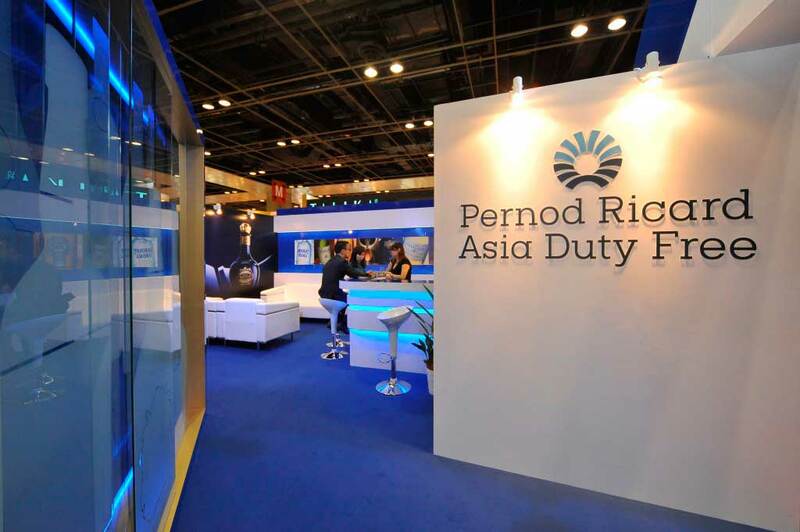 One of the most acclaimed trade shows for duty free and travel in Asia. Providing easy solutions and adding new technological advances to their stores and warehouses, its aim is make future business deals and close active deals on the spot. Within each stands you can find the highest ranking products that cover every sector in the field that you can think of. On top of all that is mentioned before, you can also find yourself involved in sessions, seminars, panels and workshops to help better your own needs, make further contact and be able to make your own brand more visible among the many others in the field. Drive your company forward and participate in Asia Pacific, starting today! We will be pleased to help with your stand design ideas. Even though it is usually hosted in different cities, this year is Singapore's turn. As it a crucial time in the state’s development plans to become a leading energy hub, Gastech conference and exhibition is climbing to the top with each edition. This trade show is for everyone who is interested in the international oil and gas industry. Becoming a meeting point for every professional and that way helping them work together in every sector, there are various areas for networking, business meetings and getting all-inclusive deals. Keeping in mind that this city is the world leader in oil refining and storage, it is a great opportunity to get your products known around the world. 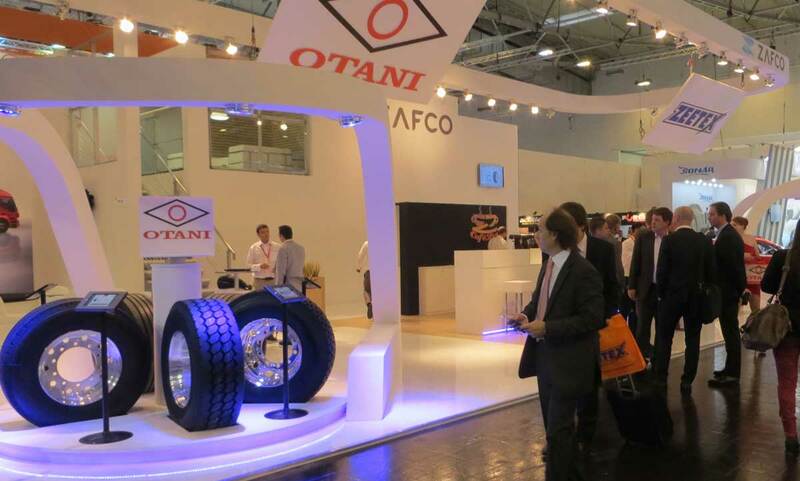 Want to be find out more about the best tyres around the world? Come to Tyrexpo Asia! Here you have excellent opportunities to expand your contact list, be seen by the biggest industry players and talk to your audience face-to-face. Bringing you all sorts of shows and seminars, the cutting edge technology that you can find here is unbeatable. Book your stand today and you will be happy you did. Contact us and tell us your ideas for your stands. Our top specialists will help you discover exactly what you need for stand. 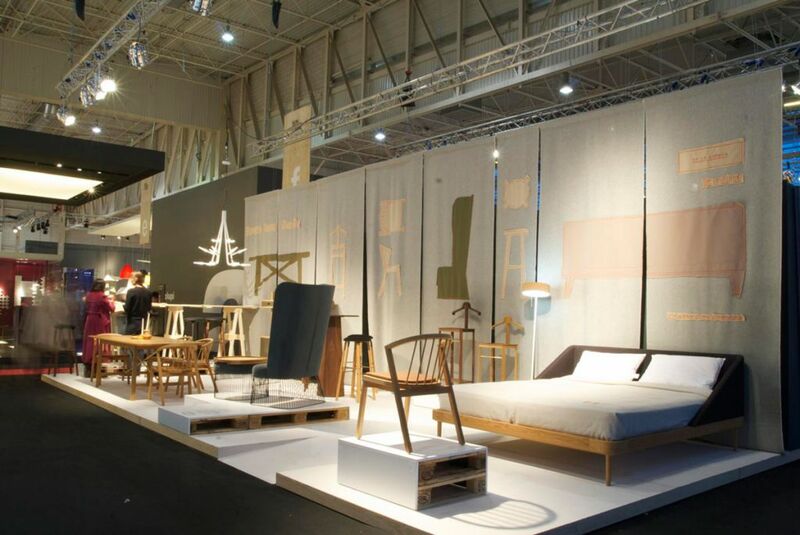 Plan your visit to Maison & Objet Exhibition held in Singapore. 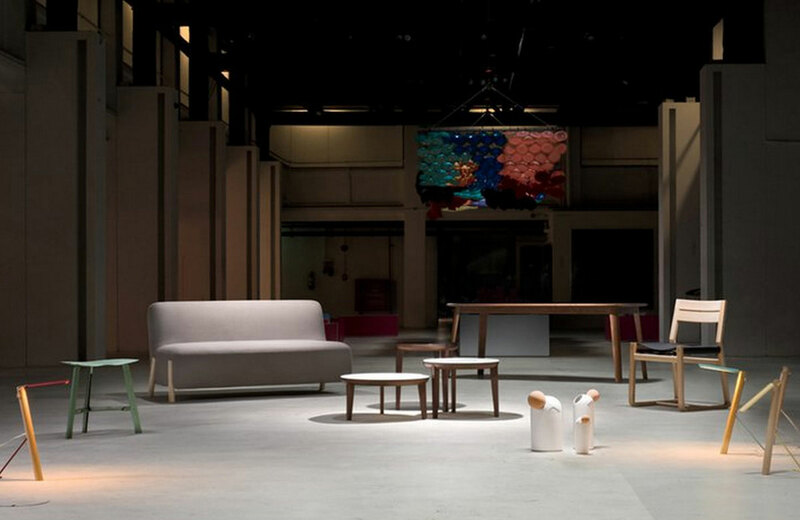 Maison & Objet is an annual home, decoration, and design event in Singapore. 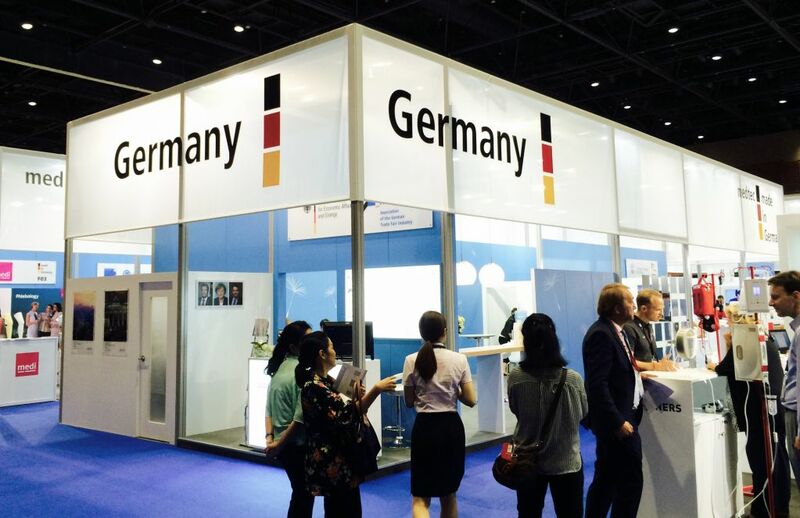 While approximately 270 exhibitors from Asia and Europe display their products and services, 14,000 visitors attend the event to look at, experience, and potentially invest in the products offered by these exhibitors. Maison & Objet’s new location in Asia offers exhibitors and businesses the chance to showcase their products in new parts of the world. As the trade show continues to expand internationally, it can offer exhibitors the chance to receive more visibility from different parts of the world. 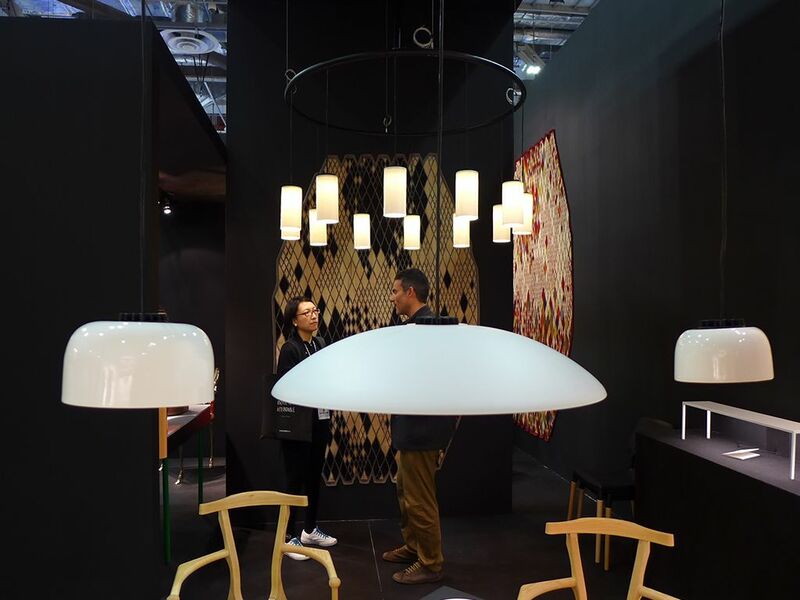 So, if you wish to exhibit at Maison & Objet, we can guide you in finding the best options in setting up your stand and planning your visit at the trade show event in Singapore. Singapore is small in size, but large in its economic impact. Singapore has one of the busiest ports in the world which reflects greatly on its economy. The economy depends heavily on trade because Singapore is globalised and diversified. So much diversity brings a lot of new and different business opportunities to Singapore. Singapore has now become a world leader in many economic areas. This means there are a large number of experienced professionals present in Singapore that you want to work with. This is a competitive market and you aren't going to be able to do everything you want right away. You are going to need to work hard and make an impression. We want to help you make that impression. At trade shows, the best way to do this is with a high quality exhibition stand that also has a modern, sleek design. With that you will grab the attention of others and they will remember you for it and they will leave there talking about your professionalism. Don't fall into the crowd, stand out and make yourself known. We will find you five proposals, free of charge, of exhibition stands that are right for you. We find these proposals with your price range and needs kept in mind. We hope to also save you time with this process. We know you are busy and we want you to be doing what you want with your free time. Don't spend it looking for exhibition stands. Companies have extensive inventories that can be overwhelming to look through. We already know the companies in your area and we have dedicated our time to learning their inventories. We look forward to hearing from you and we are excited to help you with your future business endeavors. OSEA is a biennial event for the oil and gas industries. The latest in drilling, exploration equipment and more are showcased here. 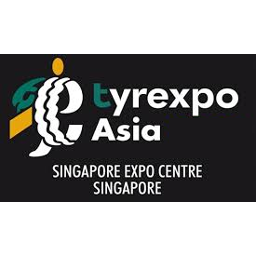 Tyrexpo Asia is a biennial event in the automobile, plastics, automation, automobile engineerying, industrial vehicles, rubber and vehicles industries. It showcases new products and designing new alliances. MTA Asia focuses in on precision engineering. 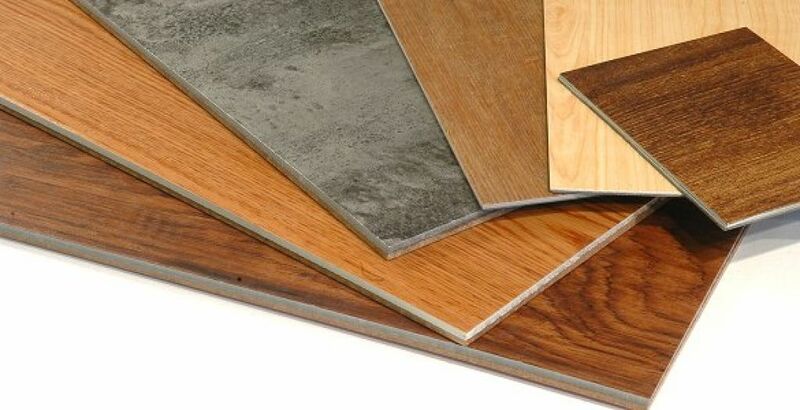 Advances and innovations in the industry are shared here. Aquarama's main focus is on ornamental fish and aquarium accessories. Singapore is the largest exporter of ornamental fish in the world and this event is right in the middle of all the action. Enterprise IT is an information technlogy trade show. 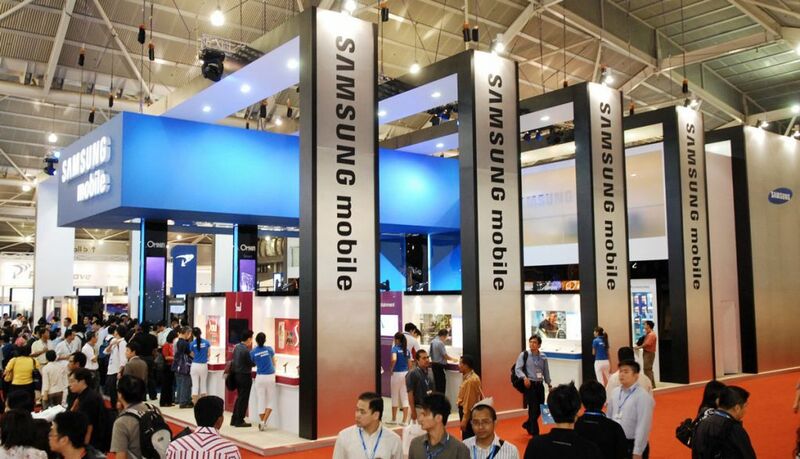 This trade show focuses on delivering solutions and applications in the information technology industry.